If you dread having work done on your car, you are not alone. Car repairs can become extremely costly, and it can be hard to find a mechanic that you trust. Although tedious and sometimes expensive, basic maintenance can prevent your car from breaking down or needing more extensive repairs in the future. The experts at CarRegistrationAdvisors.org know that car maintenance can be stressful, but with the following tips, you can perform simple maintenance on your car and save time and money in the process. The weather is unpredictable. Driving in rain, sleet or snow can be dangerous, and it is important to be able to see to maintain the safety of the roadway. 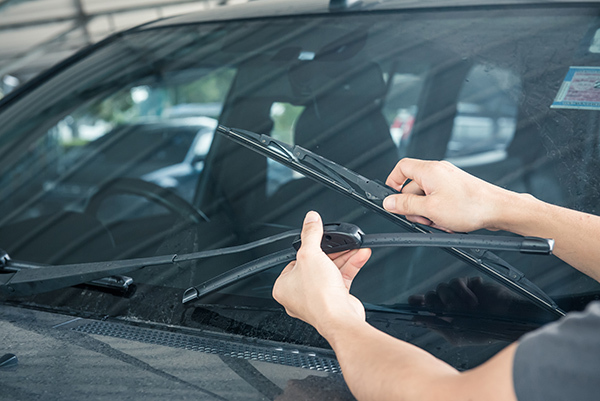 The experts at CarRegistrationAdvisors.org recommend replacing your windshield wipers to make sure you are ready to drive – no matter the forecast. You can have new wipers installed at an auto parts store, but you could save money by installing them yourself. Once you purchase a new set of windshield wipers, it will only take you around 10 to 15 minutes to complete the installation. After detaching the old wipers, you can install the new set. Try to remember how the wipers were placed to make it easier to attach with the new ones. Even if you can’t figure out how they attach, the new wiper package should have assembly instructions inside. Make sure they are secure, and you will be ready to go. An oil change is vital to maintaining your vehicle. It becomes a routine procedure when you own a vehicle, and paying for this expense multiple times a year can add up fast. Although you may make a mess, giving your car an oil change will save you money in the long run. You can also save time by avoiding car repair shops and instant oil change chains. If you are comfortable using a car jack, you can safely perform an oil change in your own driveway. Make sure your engine has cooled down before you start. Drain the old oil into your oil pan, replace the worn oil filter and fill the engine with new oil. Check with a dipstick to make sure you’ve added enough oil, and you will be ready to hit the road. Your spark plugs must be replaced once your car reaches a certain mileage, and it is important that they are in good shape. Spark plugs drive the pistons, which provide your engine with a spark and keep your car moving. If your engine is lagging or your gas mileage is beginning to decrease, it may be time to have your plugs replaced. The team at CarRegistrationAdvisors.org knows that getting your spark plugs replaced at an auto repair shop can be costly, and you can save some cash by replacing your spark plugs at home. The entire procedure can take less than 30 minutes, and the only tools you need are a socket wrench, a 12-inch socket extension and a spark plug socket. When replacing the spark plugs, you need to make sure to remove each of the wires in order. Remove each spark plug, and replace it with a new one using the spark plug socket and wrench. Make sure to tighten each spark plug with a wrench to ensure it is properly installed, and then reattach each wire.